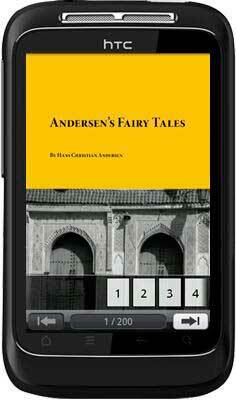 Andersen Fairy Tale 2 is the continuing of Andersen Fairy Tale 1. 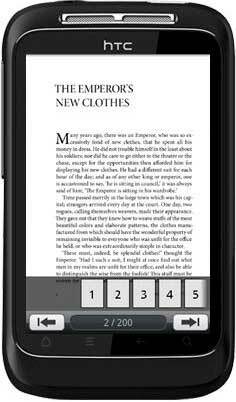 Only if install this story APK file into your Android-powered devices, you will read it like reading a real paper flipping book. In fact, it is absolutely for free, directly download and install without any payment. A cable line, or blue tooth can assist you transfer the APK to your mobile Android devices. You can read it at any quiet places. Like install other Android apps, there are no needs of other complex operations. 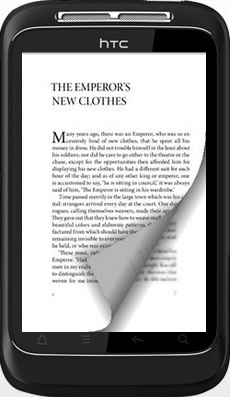 If you have some perfect manuscript in hands, why don’t make it into flipping Android book, magazine, comic, audio books, etc. With Admob ads embedded, you can earn commission fee or purely sell the book content. What a low-cost, low-risk but high-return electronic publications builders! 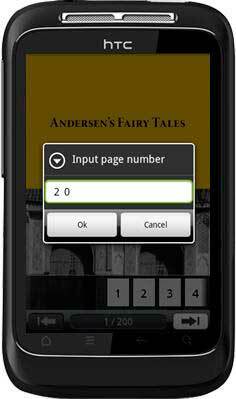 Please view below screenshots of Andersen fairy tale 2 which has been installed and ran in Android devices. Also you can make the same effect flipping book/magazine, catalog, comic, ect APK file for Android. 2 You can click the bottom middle page number area to pop-up the window of page skipping. For example, enter the number 6 and click "OK", you will directly go ahead to the fivth page. 3 We flip some page, the page conor curl effect so life-like as a real paper book. 4 The below illustration is the un-fullsreen mode of above image, you can view some page number thumbnails on the bottom. You can quick skip to some page by click the thumbnails.